Donevan Fleischmann Petrich Ltd. is a company of professional land surveyors that has been serving the Land Development and Building Construction Industry since 1925. 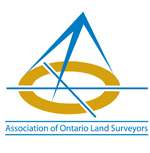 Our firm’s expertise is in the provision of Land Development and Construction Layout Surveys throughout the Greater Toronto and surrounding areas. We currently undertake over 25 new land development projects per year. Our primary activities include the provision of a full range of professional land surveying, and mapping services to both the public and private sectors including Cadastral Surveying, Engineering Surveying, Geodetic Surveying, GPS Surveying and Geographic Data Collection. We are a GTA based company having main office located in Oshawa with a Branch office in Port Hope, Ontario. Staff contingent comprises of over 30 professional and technical personnel. Our company philosophy is to provide quality product, on time and within budget. The success of this approach is underscored by the firm’s rapidly growing list of satisfied clients and an equally impressive volume of repeat and referral business.